Three Expedition 55 crew members are back to work today on the International Space Station, having taken a day off Wednesday following the landing of the three Expedition 54 crew members on Tuesday. The departing space residents are back on Earth, having returned to their homes less than a day after landing. Now on board the station, Expedition 55 Commander Anton Shkaplerov is leading Flight Engineers Scott Tingle of NASA and Norishige Kanai of the Japan Aerospace Exploration Agency. 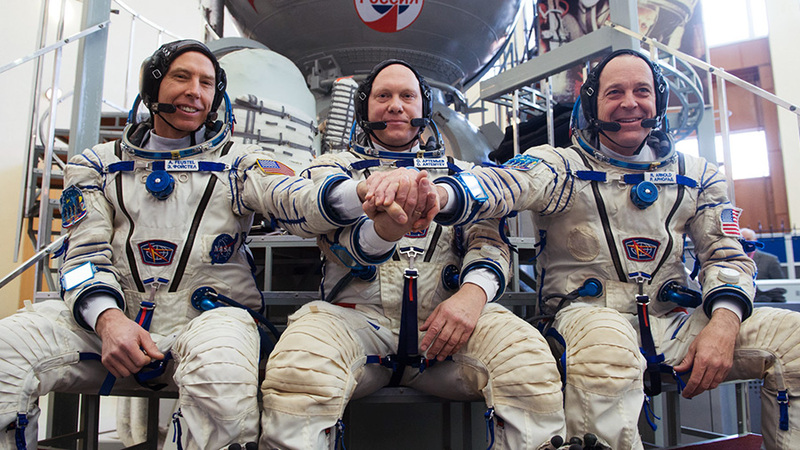 The three crewmates have been onboard the orbital laboratory since Dec. 19 and are due to return to Earth June 3. They will greet a new set of Expedition 55-56 crew members on March 23. Those new residents, Oleg Artemyev of Roscosmos and NASA astronauts Ricky Arnold and Drew Feustel are in Star City, Russia completing training for their mission and will soon head to Kazakhstan for final launch preparations. They will blast off March 21 from the Baikonur Cosmodrome inside the Soyuz MS-08 spacecraft for a two-day ride to their new home in space. We are coming up there with our own Astronauts in October by ourselves. via Spacex and Boeing, The Admiral.